When over 100 students are late for school on back-to-back days and there is no consequence, the teachers union chief says something must be done. BUFFALO, N.Y. — Teachers at McKinley High School in Buffalo are growing more and more frustrated with what they consider a lack of discipline and tardiness. The union provided 2 On Your Side with a glimpse of the problem. Phil Rumore says students face no consequence for being late. "There's no detention, detention was done away with they come in whenever they want, it's getting worse," he said adding, "the principal decided he didn't want to have detention anymore, there has to be consequences." The president of the Buffalo Teachers Federation is calling on the superintendent of the Buffalo Schools to take action. It is the superintendent who appointed Marck Abraham as a temporary principal while current principal Crystal Boling Barton remains out on administrative leave. Earlier this week 2 On Your Side heard from neighbors upset with student behavior. Neighbors living near McKinley High School on Elmwood Avenue are troubled with what they see as a trend of bad behavior near the school. Last Thursday, a teacher at the school was body slammed by a 14-year-old freshman boy. The teacher says he took the boy's cell phone away because he was listening to music during class. "The buck stops with the principal, the buck stop on the principal's desk," said Rumore. This is the statement released by the Superintendent's office. "The District has 100% confidence in the current principal, and we commend the progress being made in all areas under his leadership." Last year the teachers at McKinley had a vote of no confidence in Abraham. Just last week when a 14-year-old male freshman was arrested at the school for body slamming a teacher. The teacher was placed on administrative leave for reasons unknown. A 14-year-old high school student is now facing charges after police say he attacked a teacher. 2 On Your Side's Claudine Ewing spoke with that teacher. 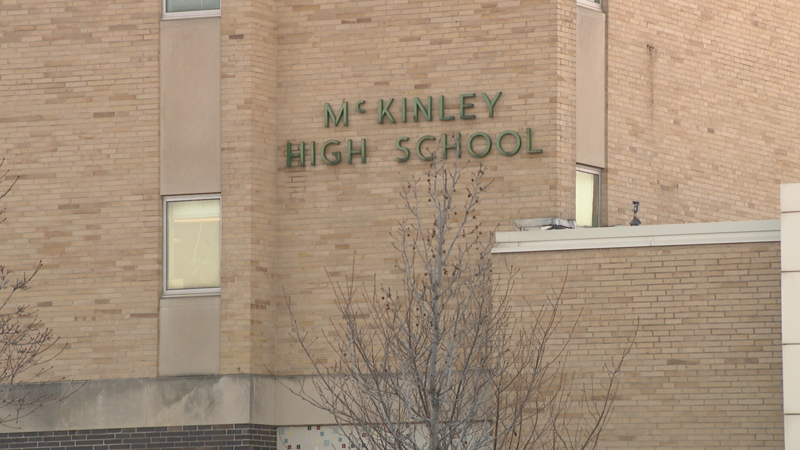 As students were being dismissed Thursday, around 3:15 p.m., a 14-year-old freshman at McKinley High School, according to a teacher, was acting up in he hallway because his cell phone was taken away.